Redhawks center Chet Holmgren posted 24 points and 11 rebounds to give the defending Class 2A champions the chance to defend their title. Chet Holmgren did it all — literally — for Minnehaha Academy on Friday night. The 7-0 sophomore scored 24 points, grabbed 11 rebounds and blocked four shots in his team's 68-48 victory over St. Croix Preparatory Academy in the Class 2A, Section 4 championship game played at St. Paul Washington High School. And at halftime he even got water bottles for his teammates. "I needed something to drink, and I didn't see a water bottle in the locker room," Holmgren said. "So I went to the bench to get the water bottles. I'm a team player." It was part of his well-rounded performance that helped the Redhawks advance to the state tournament for a third year in a row. "I know I have to be an option on offense, but I try not to force anything," Holmgren said. "I try to take what the game gives me, and today it gave me a lot of opportunities. And my teammates helped me with that by finding me in scoring positions, driving and kicking for open shots." 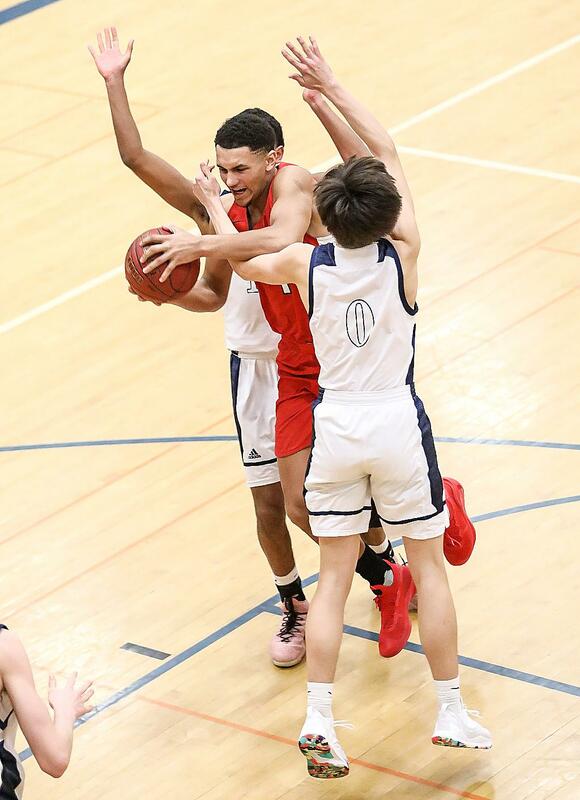 While Holmgren may not be as well-known as teammate Jalen Suggs, Minnehaha Academy coach Lance Johnson said Holmgren already is receiving scholarship offers from Division I colleges. "He has exploded onto the scene," Johnson said. "I would believe Chet leads the state in blocked shots, and he would win the state defensive player of the year award if they had one." Holmgren was far from alone in leading the Redhawks (26-2) back to the state tourney, where they have the chance to defend their Class 2A crown. They got 18 points from Suggs and 14 from Prince Aligbe. "He's a great player — the best player I've ever played with," Holmgren said of Suggs. "He gets a lot of attention, and when defenses collapse on him, they leave me open and he finds me. It opens up the game for me." Holmgren took advantage of the attention Suggs drew early, scoring seven of his team's first nine points, and reaching double figures on a tough driving shot in the lane with 8:59 still to play in the first half. He had 18 points in the opening half alone, but No. 1 seed Minnehaha Academy was unable to build a double-digit lead until there were just three minutes left in the period. "We just tried to control the pace," St. Croix Prep coach Keven Seim said. "We tried to spread them out to dictate pace. If we have the basketball, they can't score. I thought our kids executed the game plan really well." But the second-seeded Lions had no answer for Holmgren, who made a trio of three-pointers and went 6-for-7 from the field in the first half. "He's a good shooter, so we don't discourage him shooting three's when he's open," Johnson said of Holmgren. "And he has the ability to run the court, and he can ball-handle. We don't want to stick Chet in the post and not let him leave. We want to help him develop his other skills." 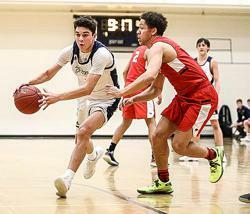 In the second half St. Croix Prep, which got 11 points from Jayton Metcalf and 10 from Addison Metcalf, continued to spread the floor on offense. But the Lions were not able to make shots and Minnehaha Academy took advantage. The Redhawks used a 14-6 run over the first eight minutes of the second half to take a 50-32 lead. "Those are things we need to figure out," Johnson said of his team dealing with the slower pace. "We need to learn how to win a slow game, a fast game, when there's contact that may not be called and it could get us out of sorts." It helped the Redhawks that Holmgren was patrolling the paint on defense. While he had just four blocked shots, often the Lions would drive the lane, only to pull the ball back out when the 7-footer materialized. "At the beginning of the season teams tried to challenge me in the paint, and it didn't work out too well for them," Holmgren said. "As the season went on, fewer people have challenged me in the lane." St. Croix Prep scored just eight points in the lane while Holmgren was in the game. "We feel we have one major advantage before we step onto the floor," Johnson said. "The other team's inside game is virtually taken away." While Minnehaha Academy now searches for its fourth Class 2A state title in five years, Johnson said that was not the goal when the tournament started. "It doesn't get any easier to get to state because the target on your back gets bigger," he said. "We said at the beginning of sections that the goal was getting back to state, even though the games might be ugly. We're happy to get there." 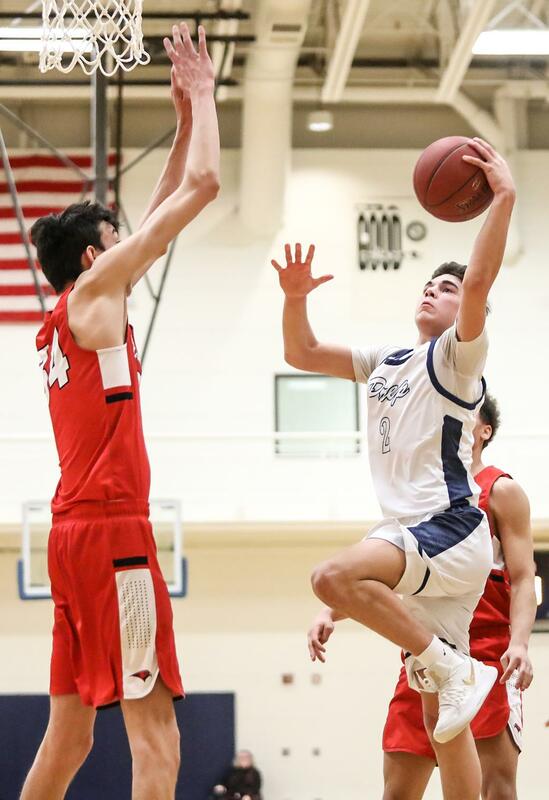 For St. Croix Prep (22-7), the sting of the loss was tempered by the achievement that the school, which is roughly a decade old, was making its first appearance in a section championship game — in any sport. "I'm proud of this team, and I think the school and community should be proud of them," Seim said. "I thought our kids handled this very well. They played hard, and they didn't give up." 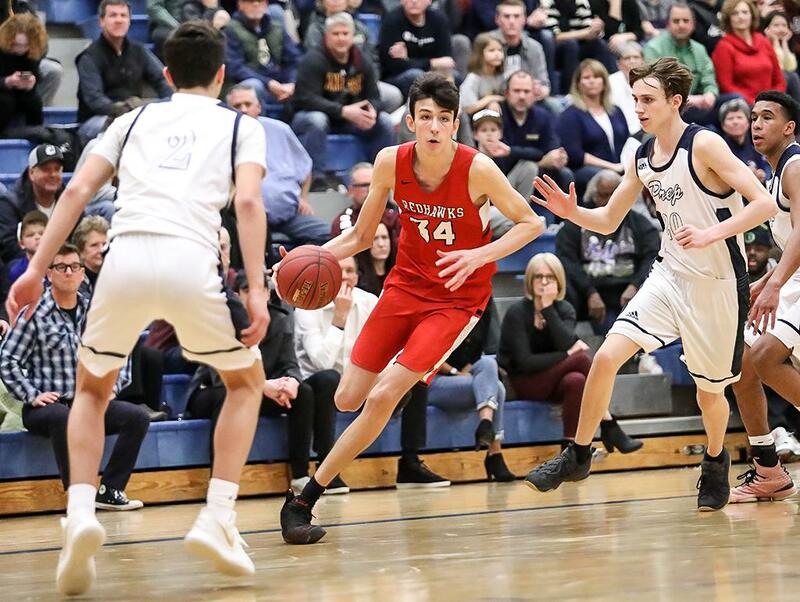 St. Croix Preparatory Academy had no answers for Chet Holmgren, Minnehaha Academy’s 7-foot center who posted a double-double, to lead the Redhawks, the defending Class 2A champions, back to the state tournament for a third year in a row. Holmgren finished with 24 points, 11 rebounds and four blocked shots as the Redhawks claimed a 68-48 victory in the Class 2A, Section 4 championship game played at St. Paul Washington High School Friday. Top-seeded Minnehaha Academy (26-2) also got 18 points from Jalen Suggs and 14 from Prince Aligbe. St. Croix Prep (22-7), meanwhile, was led by Jayton Metcalf’s 11 points while Addison Metcalf added 10. The No. 2-seeded Lions stayed close for much of the first half until Minnehaha Academy used a 12-6 run to take a 23-16 advantage with 6:26 left in the first half. The Redhawks slowly but steadily built on that lead to take a 36-26 advantage into the break. Minnehaha Academy then broke the game open with a 14-6 start to the second half, and St. Croix Academy never was able to cut its deficit to double digits.